25 Clifford Street, Halifax L.I.A. THINK DIFFERENT, THINK PLASTIC ! Get the right plastic for the job ! 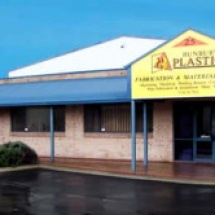 Specialising in poly welding and custom-built products fabricated from all types of plastics, we are one of the leading plastic suppliers and plastic fabricators in Western Australia. We stock, supply, fabricate and machine with a vast range of materials. Many of these materials are available in full sheet sizes or rod and tube lengths, we also offer a cut to size service so you only pay for what you require. Give us a call today or email us for a price and availability. We are happy to assist in supplying the right product for your needs.